This year we are taking time in the Classroom Appstravaganza series to hi-light the applications that your students are accessing during the school day here at Ben-Hem. This week the Appstravaganza is all about Book Creator. What really stands out about Book Creator is that it represents a fun but productive way to engage kids with technology. In an age where parents struggle to find productive uses of the screen time that their children demand, Book Creator and applications like it are a welcome addition to the mobile device rotation. Book Creator does not mince words, it does just what its title would lead you to believe. 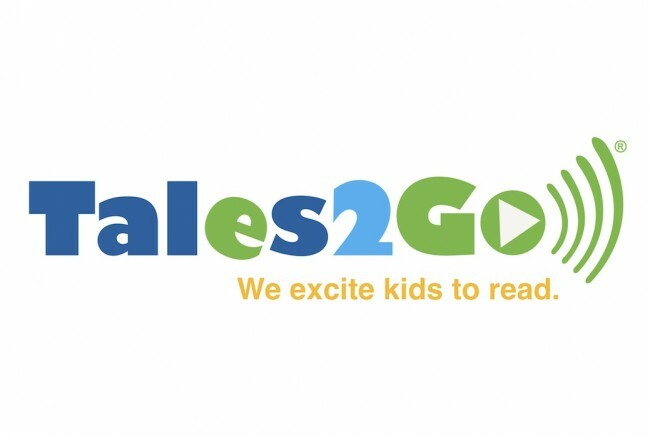 This is an application that allows children to create, publish, and share books with friends and the world if they like. Book creator is robust enough to allow for multi-media integration yet streamlined and intuitive so that kids can pick up and go with little support from adults. There are so many ways that this app can be used to engage all children in writing and creative expression. Imaginative stories, writing about their last play date, or documenting their last field trip or vacation are all simple and easy to do. They can publish their tales to the iBooks store for others to read. Knowing that there is an audience who will read their work and listen to their ideas is a powerful motivator for young writers. 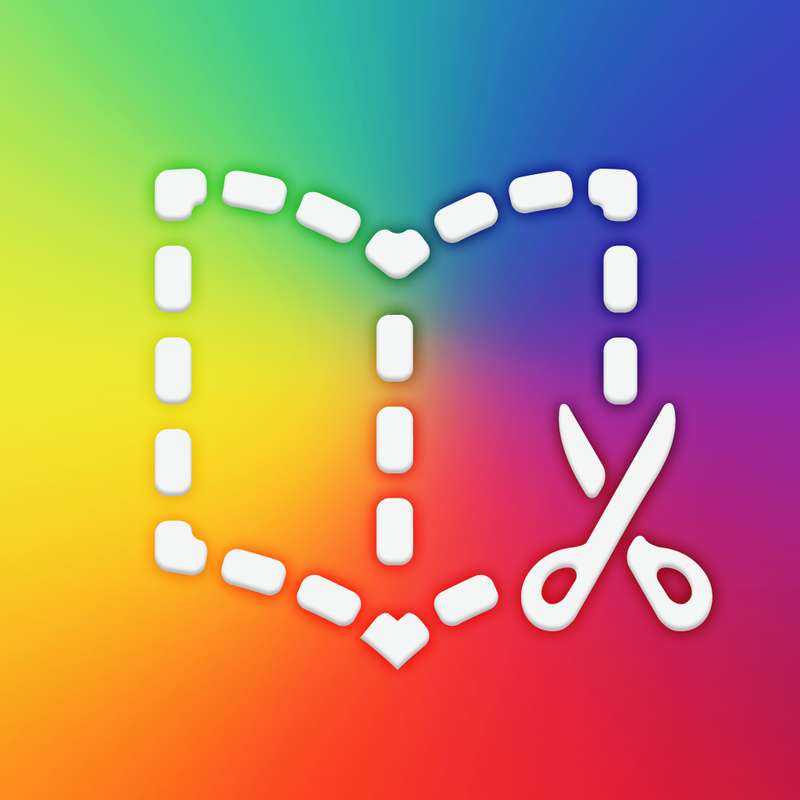 Book Creator is available for both Android and iOS devices. There is a free edition that provides all basic functionality and there is a full version that is $4.99 that provides all access to the bells and whistles of Book Creator. The developer’s website has a great blog with all kinds of creative ideas for you and your kids to play with at home. Just how complicated is it for kids to follow directions? In our last post we talked at length about reading and interpreting the Report on Student Progress (ROSP). In this week’s post we turn our attention to look at tools and strategies that families can use to develop strong work habits in their children. Our goal is to support families in their efforts to teach and support these skills proactively throughout their child’s life. The ROSP relies on an observation based rating scale when it comes to rating a child’s development of articulated work habits. The rating system focuses on the frequency with which the teacher observes a given behavior. These observations are captured in the ratings: Rarely (R), Sometimes (S), and Usually (U). No matter the rating, it is critical that parents reach out to teachers and educational professionals if they have concerns about the development of these skills. One of the complexities in supporting and learning effective work habits is that they each represent a series of embedded and related skills. Because of this, it can be hard to know how best to support children in practicing and developing those skills. To support families in this endeavor we are going to take the next few posts and explore the prerequisite skills for each work habit and easy to use strategies that families can employ to support them. This week we are going to focus on following written and oral directions. Focused, sustained attention: Child attends to the source of directions until directions have been communicated. Language: Child is able to read and/or hear the directions. Comprehension: Child fully understands the given directions. Self-Monitoring: Child monitors comprehension for understanding. Self-advocacy: Child has strategies to ensure that they understand the given direction. This includes, but is not limited to, asking for help when needed. Focused, sustained attention: Always be sure that you have your child’s attention before giving directions. Their bodies should be facing you and you should require eye contact before giving directions. If the child breaks eye contact or turns away while the direction is being given, discontinue the direction until they provide you with full attention. Language/Comprehension: Have the child restate the direction in their own words. 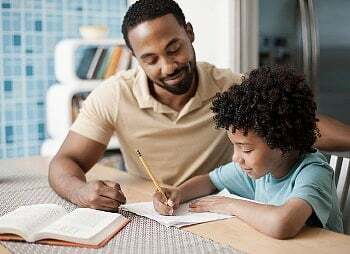 Family members can simply ask, “What did I just ask you to do?” or “What is the homework assignment asking you to do?” Asking this simple question is a sure fire way to tell if the child understands the given directive. Self-Monitoring: Presuming that the child misunderstood your direction or the homework assignment, it is most important not to do the clarifying for them. Instead, ask guiding questions. “That’s not what I asked you to do. 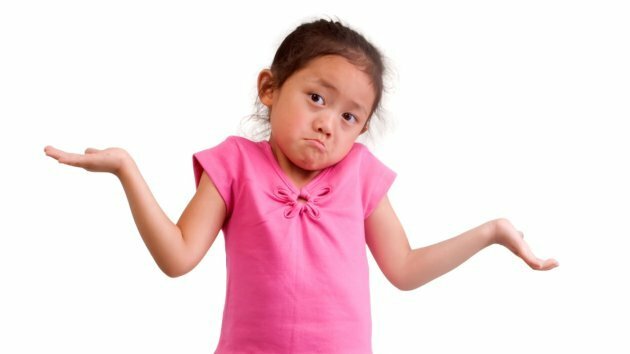 Think about it for a minute and see if you can remember.” or “When you don’t remember a direction, what could you to make sure you know what to do?” Doing so puts the child in the position of having to do the “heavy lifting” and develop the self-monitoring and self-help skills that they truly need. Self-Advocacy: In the off chance that you give a direction and the child does not follow through in the way that you intended (sarcasm), use this as an opportunity for learning and growth. “Hmmm. I see that you put your plate on the counter which is really helpful. What I asked you to do was place it in the dishwasher. It seems like you may not have understood my directions, what could you do in the future to make sure you understand me?” If the child truly can’t come up with an idea you might suggest that they ask what they were supposed to do again or think about what the situation and what action is appropriate to that situation. One of the advantages of having a standards-based report of student progress is that it takes some of the ambiguity out of understanding your child’s progress. The ROSP is structured to provide families with a snapshot of the whole child. The report goes goes beyond academic standards and provides information on work habits, study skills, and social skills. It is no secret that every parent wants their child to excel. It is this natural desire and drive that can muddy the waters when reading and interpreting a report like the ROSP. Our natural inclination is to look for ratings of 4 (exceeding grade level standards) throughout the report. The challenge in this mindset is that it does not account for the intended purpose of the ROSP and the natural developmental patterns of children. When reading the ROSP, it is important to remember that all of the standards on the report are end of year standards (things we would expect kids to know and be able to do by June). As such, a rating of 2 (progressing towards grade level standard) is perfectly normal at the January reporting period and a rating of 3 (meeting grade level standards) is perfectly normal by the June reporting period. Students who receive a proficiency rating of 1 in an area are struggling to meet the standard and there may be a range of reasons why the child is not demonstrating progress in such an area. Teachers in the NPS are committed to the academic progress of every child and there are a number of supports available to help children work towards proficiency. If your child is not progressing towards the grade level standards in multiple areas, is not receiving support, or you do not understand why your child is not making progress towards the grade level standards, reach out to your child’s teacher and open a dialogue. Students who demonstrate a rating of 2 are progressing towards the grade level standard which means that they are making progress but have not yet met the standard. As students work towards achieving proficiency, teachers are there to provide support as a guide on the side helping children set, monitor and work towards achieving their goals. When a child achieves a rating of a 2, It’s important to acknowledge that this is an area of growth not necessarily a deficiency. Students meeting grade level standards demonstrated a proficient level of understanding of the standard. Students who earn a rating of a 4 have exceeded the grade level standard consistently over time. It is also important to note that not all of the standards will be assessed on the mid-year report. This reflects the pacing of curriculum in the Natick Public Schools. While there is a high degree of continuity across our classrooms, we expect our teachers to differentiate content to meet learners at their individual levels. As a result of this expectation, it is not uncommon for classrooms to reach different points in the curriculum by the January reporting period and for the standards reported to vary slightly (i.e. one second grade classroom has covered 2D geometry and another second grade class has not yet reached that point). While you may be tempted to look primarily at your child’s ratings in academic areas such as English Language Arts, Mathematics, Social Studies and Science, careful consideration of a child’s habits of mind are critical to understanding a child’s growth as ratings in these areas can provide families with insights into how and why a child may/may not be demonstrating proficiency in an academic area. These skill sets are the foundations of learning and weaknesses in these areas often translate to academic challenges. For example, a child who “rarely” takes academic risks and rarely displays a positive attitude towards school and learning may be struggling to achieve proficiency in specific areas of his or her academic skills. In these cases, it is important to talk with your child’s teacher and the child to come to an understanding of what can be done to turn things around. In our next few posts we will discuss specific ideas to support families in establishing and developing solid work habits and study skills in their children. by Ian Kelly, M.Ed. and Heather Smith, M.Ed. A successful learning environment is predicated on the idea that students feel safe and comfortable in their classroom and school. This is a sensible conclusion when you think about it. 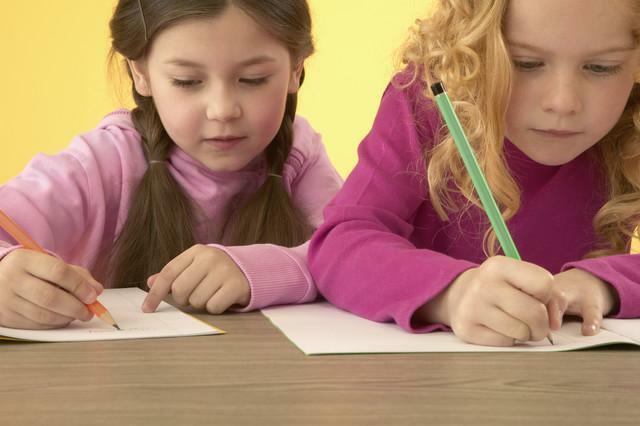 If a child is worried about something then chances are she is not completely focused on her work. Abraham Maslow captured this concept in 1943 in a work called “A Theory of Human Motivation.” Maslow’s work set forth the idea that all human beings are driven by a set of hierarchical needs and that higher level needs cannot be attended to until lower level needs are met. The first two levels are physiological and safety. Learning falls into a set of higher level cognitive needs. This theory is why we ask kids who are struggling if they got a good night’s sleep or if they had breakfast. These basic physiological needs have a significant impact on their learning. Beyond physiological needs is the need for safety. The child needs to know that they are physically and emotionally safe before they are able to attend to learning. Providing a safe and predictable environment for 600 students who come to learn with over 75 adult faculty members creates a dynamic challenge for a school. To meet this challenge Ben-Hem faculty and staff have developed and implemented a system of School Wide Positive Behavior Supports (SWPBS). The SWPBS approach to school culture is predicated on the idea that human behavior is learned and, therefore, needs to be taught. It is the proactive approach to teaching positive behavioral expectations that separates SWPBS from traditional behavior management techniques. The Open Circle program is one that families hear a lot about during curriculum nights and in teacher newsletters. The Open Circle program is Ben-Hem’s primary curriculum resource for teaching students what it means to be a friend and a student. The inter and intrapersonal skills developed through Open Circle are critical to ensuring our students are safe and successful in school. When programs like Open Circle are not used the social curriculum becomes the “hidden curriculum.” Open Circle supports our teachers in transferring this “hidden curriculum” into a clear and explicit trajectory of teaching and learning that provides the foundation of a positive school culture and climate. Teaching is only the first step in this process. Instruction is most effective when the content and expectations are consistent from classroom to classroom and year to year. Stability and predictability are part of making sure those basic needs that Maslow described are met. To ensure that behavioral expectations are consistent in all classrooms and settings, our teachers use a common set of guiding principles when developing classroom rules. Providing fundamental principles ensures continuity of expectations while providing for flexibility in adapting rules and expectations to specific environments. The social and emotional skills of our students are critically important to their success. Teaching and supporting the development of these skills and abilities is a high priority for Ben-Hem and one that we know ensures high levels of learning for our students. School Wide Positive Behavior Supports is an effective model that we implement to ensure this learning throughout the day and year. Let us know if you have any questions about social and emotional learning or School Wide Positive Behavior Supports. The Common Core State Standards (CCSS) are here and we are hard at work ensuring that all of our curriculum, instruction, and assessments are aligned to meet the rigorous new standards. The CCCSS represent major shifts in the learning standards that guide our work. The first shift focuses on ensuring that the curriculum we teach in schools targets depth of knowledge vs. breadth of coverage. For years professionals have struggled with delivering mandated standards that are a “mile wide and an inch deep.” CCSS presents a resolution to that problem. The second shift represented in the CCSS is a focus on the thinking skills and cognitive processes that underly the acquisition of academic content. The ability to plan strategically, review and evaluate resources, and develop novel opinions are essential skills in the CCSS. The Massachusetts Curriculum Frameworks and other state standards have focused primarily on articulating the “what” of different subject matter. CCSS goes beyond the “what” and focuses on the “how” of student learning. The third major shift lies in the notion of College and Career Readiness. The CCSS aim to ensure that students leave high school with the skills and dispositions necessary for success in post-secondary and professional environments.